A good mop sauce is like having your own barbecue secret weapon. Unlike barbecue sauce, which is applied for all to see after the meat is done, the mop sauce is applied at intervals as the meat cooks. It helps keep meat moist and juicy, with rich layers of flavor. 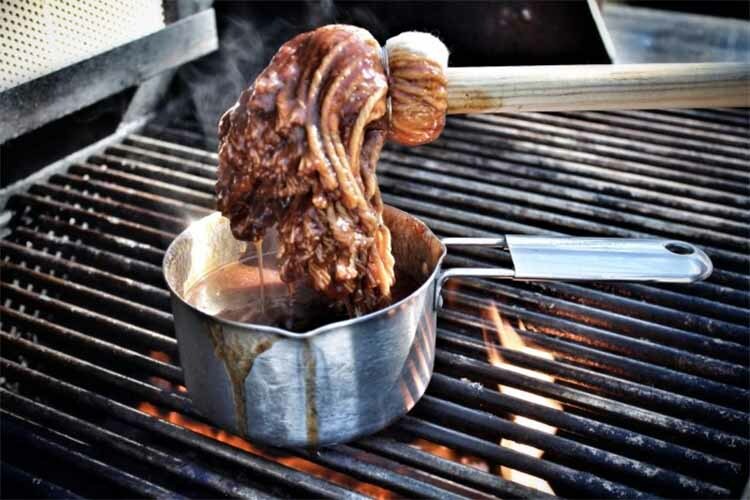 Mop sauces were traditionally used in Texas commercial pits where meat was cooked over coals. 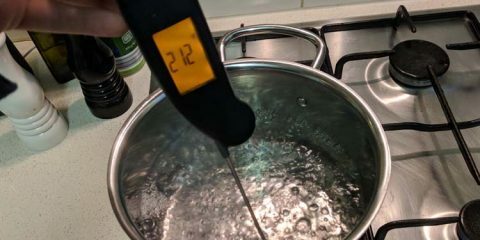 Basting the meat with a mop was a way of cooling the meat and maintaining moisture. But that doesn’t mean you need to leave it to the pros in Texas. 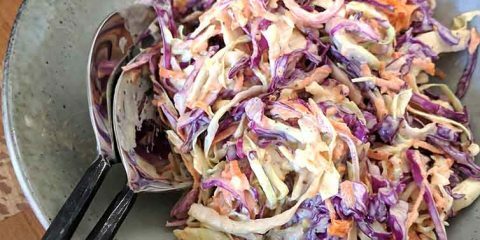 In this post we’ll run through 6 of the best mop recipes out there and get you inspired for your next barbecue. This mop sauce is a beef brisket’s best friend. In fact, any large cut of beef is going to benefit from regular coatings of this mop sauce. 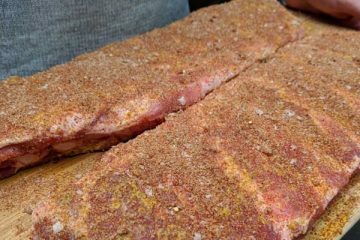 Sweet yet peppery, this sauce will not only keep your meat nice and moist, but it will also encourage the formation of a sweet bark on the surface. Don’t hold back on applying this sauce, your meat will only stands to benefit. This sauce is best applied at regular intervals, especially towards the beginning of the cook. While this sauce also comes from Texas, it brings something different to the table. Spicy with a hit of vinegar, this is the perfect mopping sauce to give your ribs that extra kick. Whipping up this sauce is as easy as putting all the ingredients together in a pot and letting them simmer for 30 minutes. All that is left to do is to slather this syrupy sauce on your ribs as they smoke and enjoy the delicious results. 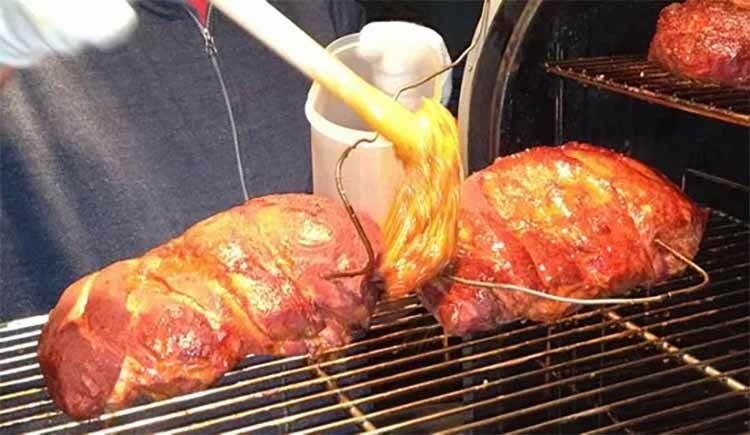 The ‘sacrifice’ of 12 ounces of beer is more than worth it once you taste the results of painting it on your brisket. 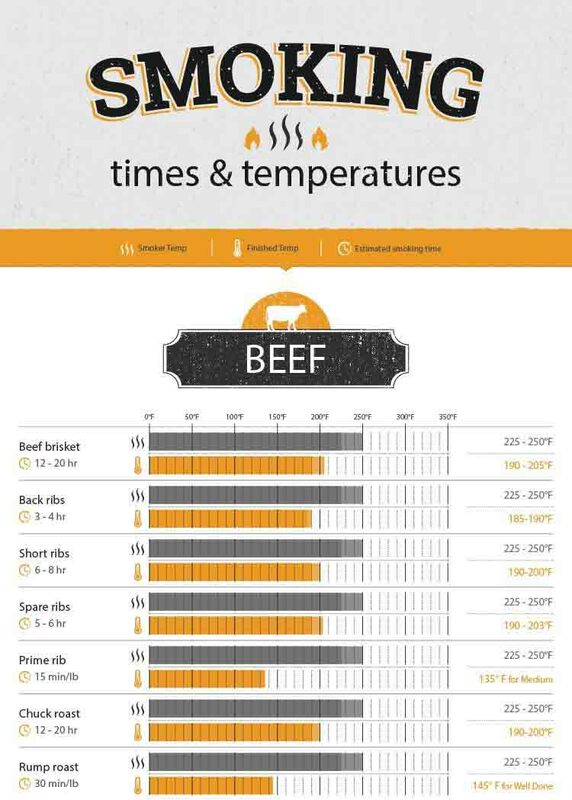 With so many different brews out there, you can really go crazy experimenting with beer flavors and how they complement different meats. This recipe is a great introduction to the wonderful world of beer mops. 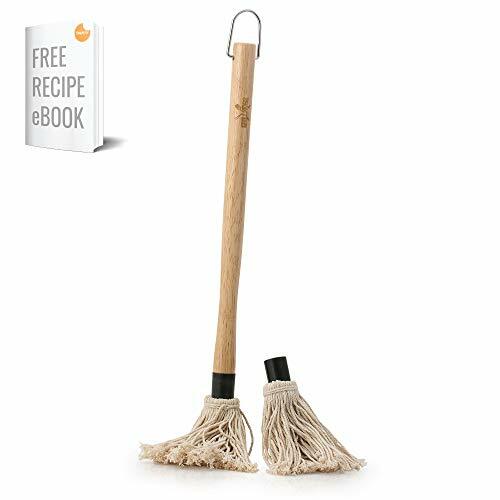 Once you have mastered this mop, why not try adding some other flavors that go well with your favourite beer? 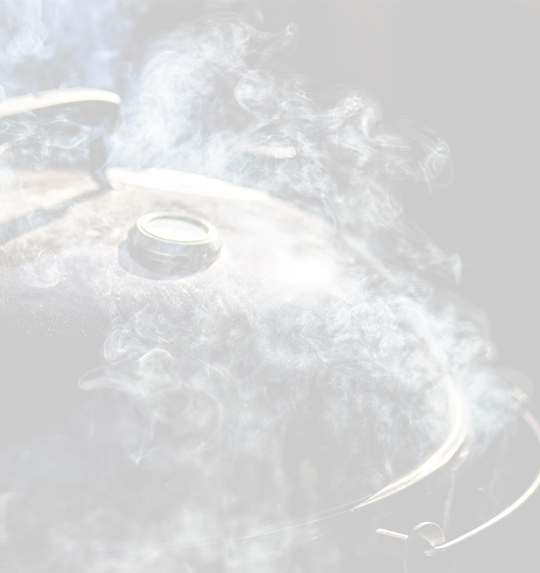 And if you’re barbecuing in the summer, one thing is for certain – you will no doubt have a beer on hand ready to whip this mop up. We have finally moved on from Texas, and into Carolina. East Carolina to be exact. 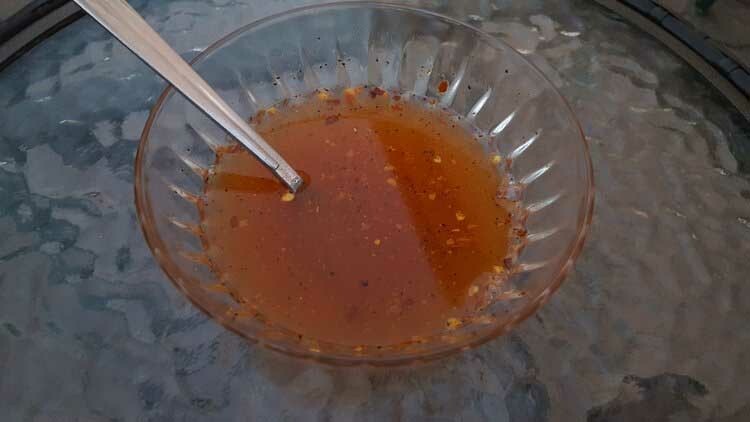 If you swing by a barbecue joint there you will likely find your meat has been mopped with a sauce similar to this one. Spicy with a vinegar base, this mopping sauce will give your next barbecue a kick. 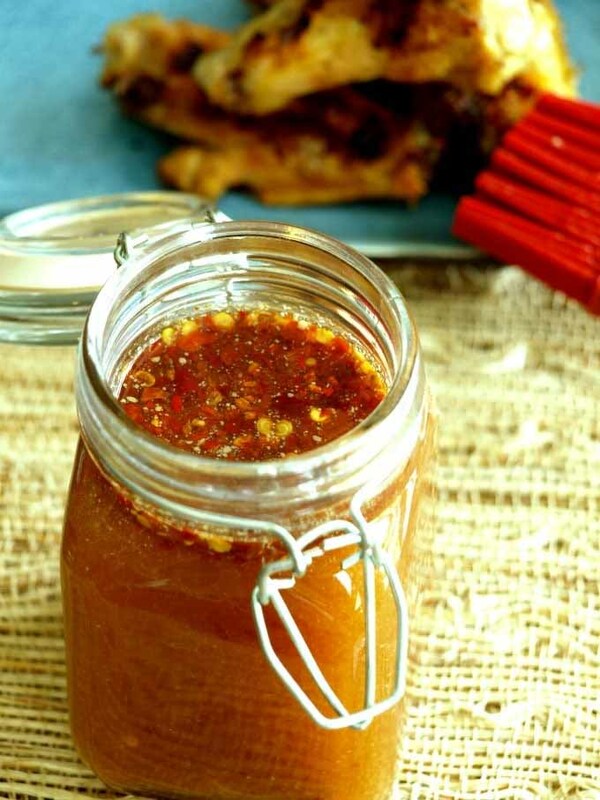 If you are a fan of this spicy sauce with a vinegary twang at the end, then you can also use it on your pulled pork sandwiches like you would tomato or barbecue sauce. We know this sauce is the perfect companion to pork, but why not whip up a batch and see for yourself. This sauce, like the one above, hails from Carolina. But it has its own unique charms. 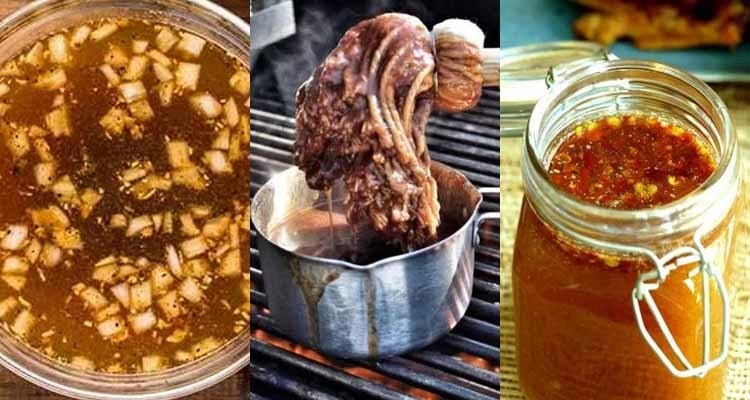 The honey adds a nice sweetness that works well for pork. So while mopping sauces already do a great job of keeping meat moist, but this variation will do an extra special job of it. A little sweet, a little spicy and characteristically vinegary, keep this recipe in mind next time pulled pork is on the agenda. 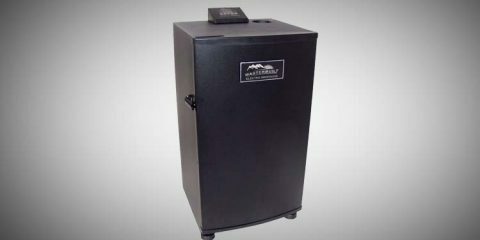 If you have been poking around the barbecue traps for a while you will have heard of Malcom Reed. A respected pitmaster, he has no doubt tried out a mop sauce recipe or two in his time. 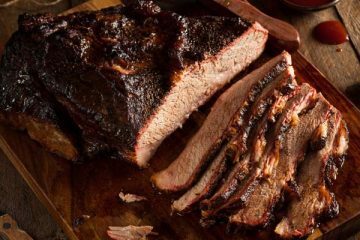 This simple recipe is actually part of an epic post on how to make pulled pork from scratch, including recipes for the injection liquid, the rub, and the mopping sauce. If you feel inclined, why not try the whole shabang. Even if you aren’t up for the entire “pulled pork experience” this time around, the mop sauce is incredibly easy to whip up, and is a great standard to fall back on if you need a mop sauce, and fast. 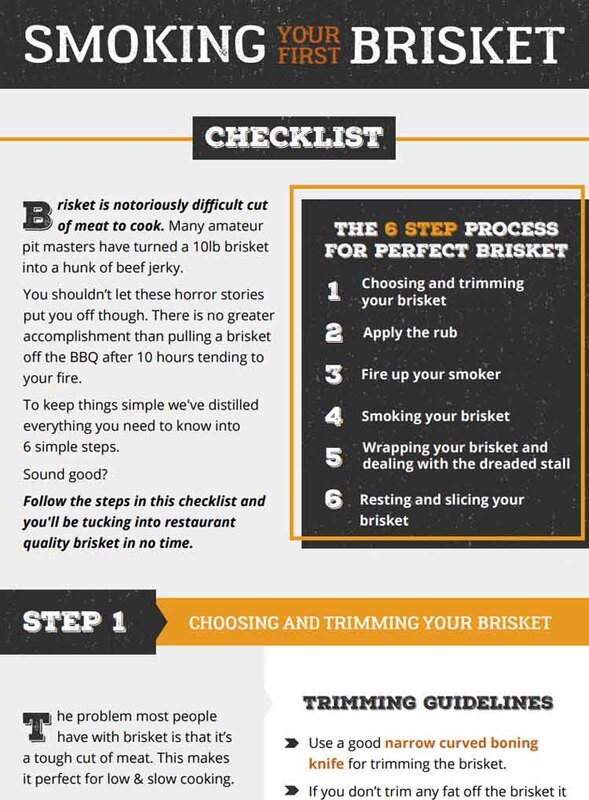 Now that you know a real secret to great briskets and pork butts, it’s time to give one of them a try. You don’t NEED to use a mop sauce. In fact lots of pit masters avoid them for fear of damaging the precious bark. But everything in barbecue should be tried at least once. 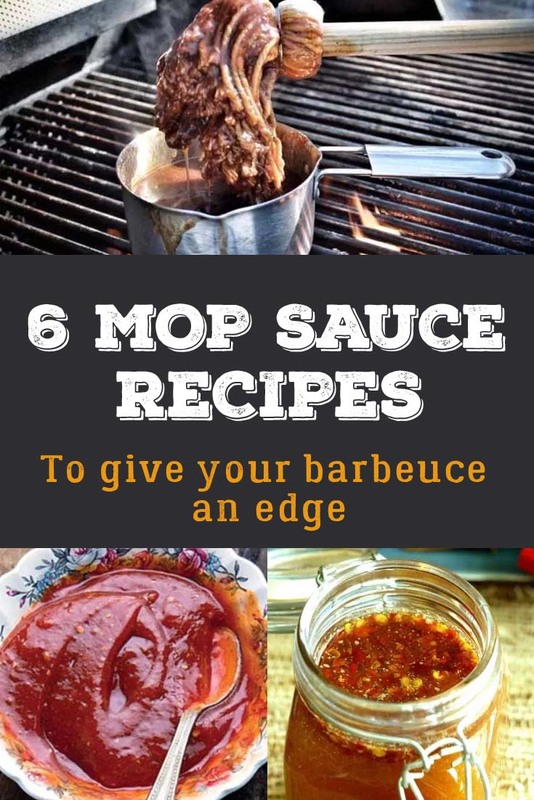 Mop sauces are so easy to make, they are definitely worth the small investment of time needed to whip one up when you are cooking low and slow. It’s worth getting yourself a good barbecue basting mop that’s large enough to apply plenty of liquid at once. LOAD UP THE SAUCE: This baster brush quickly soaks up thinner sauces that standard basting brushes won't. 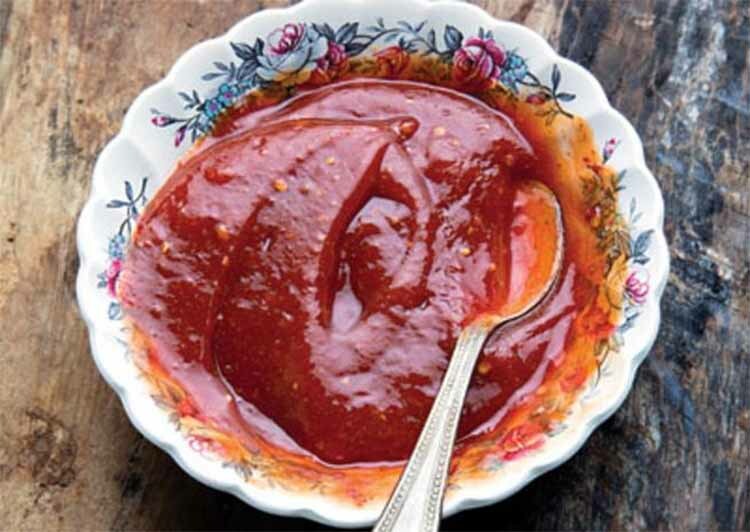 Works great for Carolina and Texas-Style BBQ or vinegar-based sauces. VERSITILE: Perfect for basting and glazing a variety of meats and poultry AND as a pastry brush for buttered baked goods! We hope you enjoyed this run down of 6 great mop sauce recipes. Do you have a great mop sauce you would like to share? Let us know in the comments section below. And don’t forget to share this article if you found it helpful.